Normally colorectal cancer in early stage would mainly present the symptom of painless stools with blood and the blood is red or fresh, which is similar to the symptom of early internal hemorrhoid. 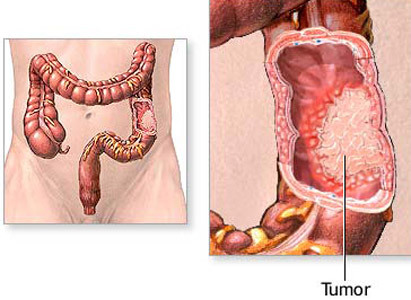 When colorectal cancer develops to late stage, the blood in stool changes to dark red and the stools present mucous bloody stools or bloody purulent stools. Besides the symptoms mentioned above in late stage, colorectal cancer also encroaches on tissues and organs around like bladder and prostate to cause frequency, urgency and difficulty of urination. A patient can even develop pain in sacral and waist when the cancer attacks lumbosacral plexus.